Depending on to whom you speak; Danny Williams is a vast underachiever or a fighter who has earned far more than his talent and fragile self-belief would suggest he should have done. There is no in between. 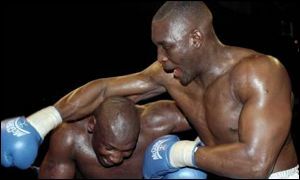 Knockout victories over Kali Meehan, Mark Potter and Mike Tyson – did I really just put Iron Mike in the same sentence as Mark Potter – sparkle alongside triumphs over Michael Sprott, Julius Francis, Matt Skelton and Audley Harrison. Sandwiched, if the term isn’t to Freudian, between these success is a sloppy defeat to Sprott, the disappointing loss as a prospect to Francis and knockout defeats to both Sinal Sam, Vitali Klitschko and latterly Audley Harrison. The twin themes of weight and motivation running through all those performances; good and bad. Now aged 33, and widely criticised for his lack of focus on a boxing career that has given him so much, Williams finds himself back where it all began – challenging for a British title. The opponent, Scott Gammer a big, solid monolith of Welsh flint with a heavy jab and an appetite for improvement will not be brushed aside easily. If Williams heart isn’t in this bout, despite the lower tier of competition Gammer represents to the formerly world-rated challenger, it could be a painful night for the Londoner. 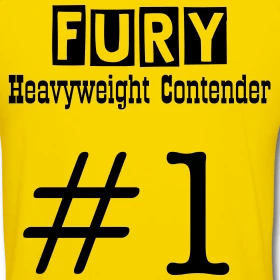 The fact Gammer’s manager Paul Boyce turned down a fight with Audley Harrison and purse believed to be six figures long in preference for the mandatory defence versus Williams suggests the Welsh camp think the former champion is ripe, or shot to be more candid. Despite the respective form-lines, a motivated Williams weighing close to 250lbs, as opposed to 280 plus, should still have enough power, hand-speed and courage to succeed. But if Williams’ career teaches the observer anything its not to predict the outcome of his fights.